Carla is a lifelong learner – taking courses, going to conferences, reading journals etc. to keep current on the latest clinical findings so she can implement them into her practice. As a Registered Nurse Practitioner, Carla Peppler brings a unique perspective to treat a wide variety of chronic medical conditions. Where traditional methods attempt to treat an illness, Carla treats the person. Most come to Carla through personal recommendation, seeing the results firsthand. Patients at Heartful Wellness are partners in a dialogue which seeks to treat the root cause. Wellness is the natural state of the body which Carla and her staff are there to restore. Carla Peppler can provide the possibility of enjoying an active, happy and healthy life, by fighting all of the uncomfortable effects of hormone imbalances. 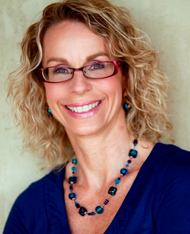 To learn more about Carla Peppler of Heartful Wellness Centre in Hanover Ontario, call 800-775-4902 Ext. 419 to schedule your consultation today! Call Ontario Bioidentical Hormones Specialist, Carla E. Peppler, RN(EC), NP-PHC at 800-775-4902 Ext. 419 to schedule a consultation. Learn more about Carla Peppler's experience, training, and approach to achieve optimal health and wellness. Learn more about the anti-aging services offered at Heartful Wellness Centre and how you can achieve wellness. Schedule your bioidentical hormone consultation today and take your first steps to achieving optimal health. © 2009-2019 Bioidentical Hormones Ontario. All Rights Reserved.